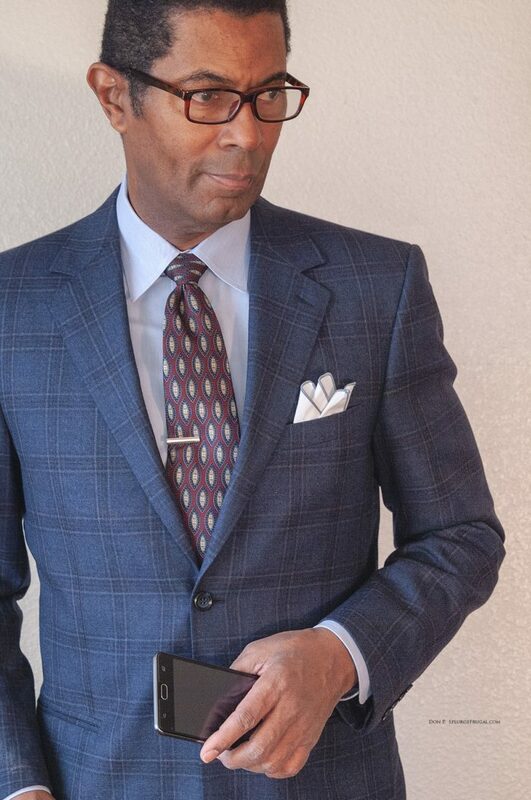 Do you like the pocket square I am wearing in the photo above? Nice, eh? 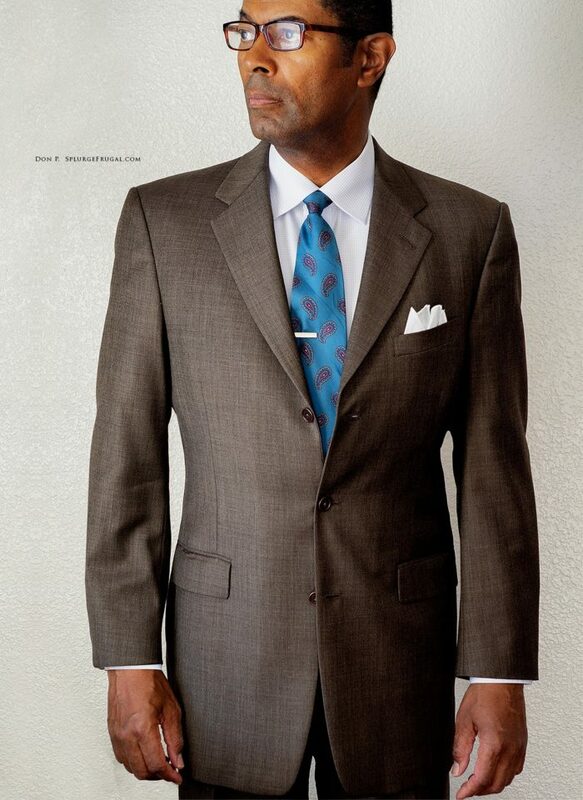 It’s an unusual color that can easily be paired with a wide range of shirts, suits, and ties. It looks expensive too! Is it made by a luxury menswear brand? In truth, I made this pocket square on my kitchen table in under a minute! Here’s how! Whenever I throw out old suit jackets and sportcoats in my closet, I will make pocket squares from the lining if I like the colors. 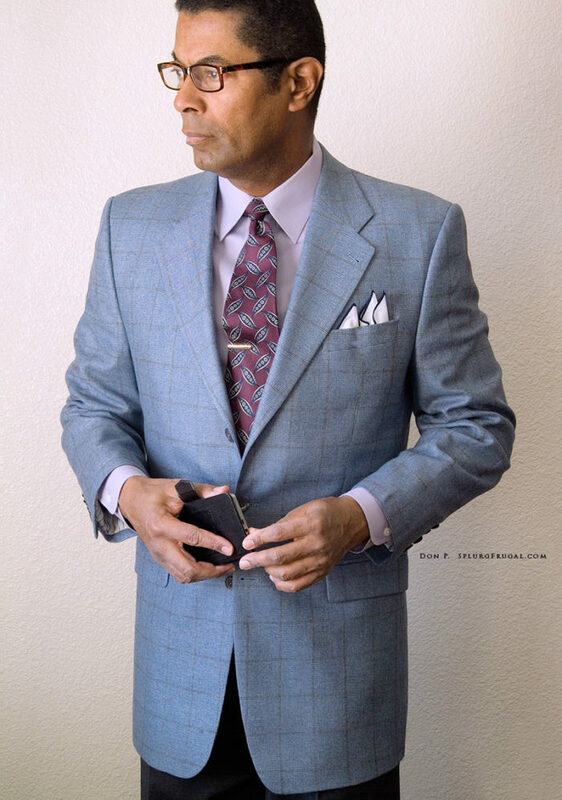 Because the suit jacket lining material (generally a rayon or something similar) is lightweight and has a silky finish it looks great when repurposed as a pocket square. All you need to do is measure a square of about 10×10 inches and cut it out with a pair of scissors. 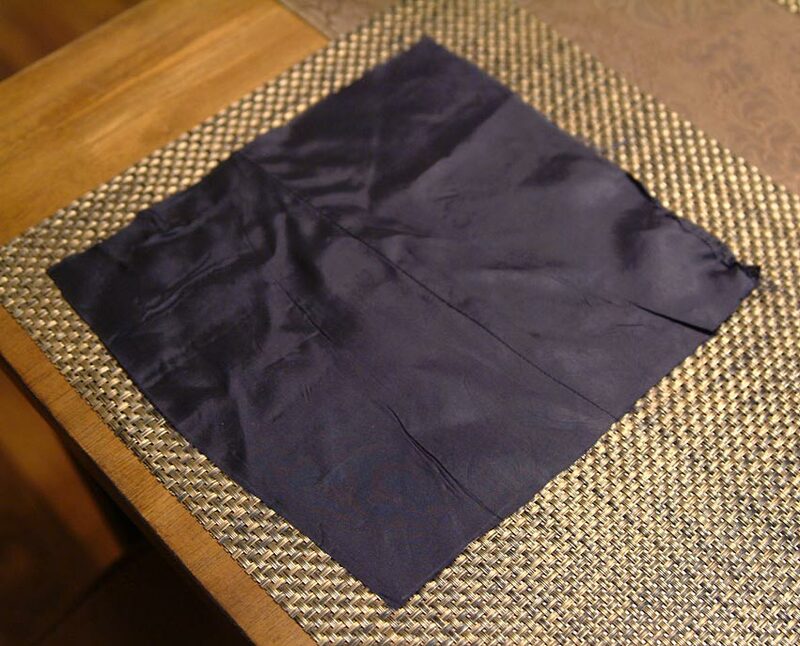 If you want to finish it, you can sew a small hem around the edge of your new pocket square. However, that is not necessary. 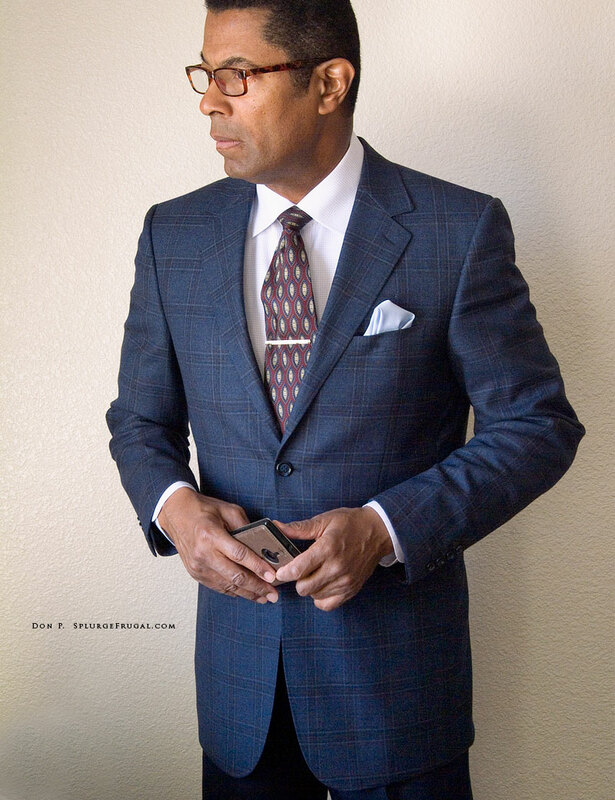 If you wear the pocket square as seen in this photo (puff style) all of the unfinished edges will not be visible. I will pin it in place inside my breast pocket (as shown in the photo). 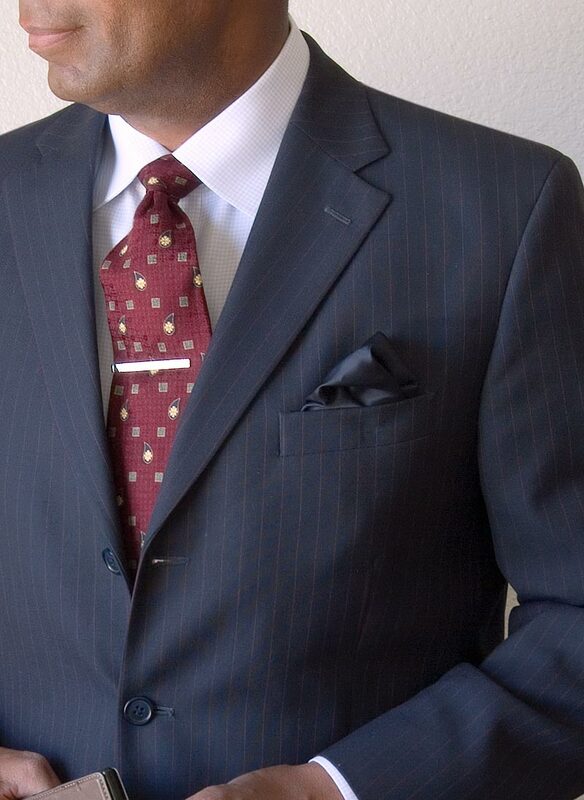 I find that if you have a seam that runs across your square of cloth cut from the jacket lining it can be ignored. 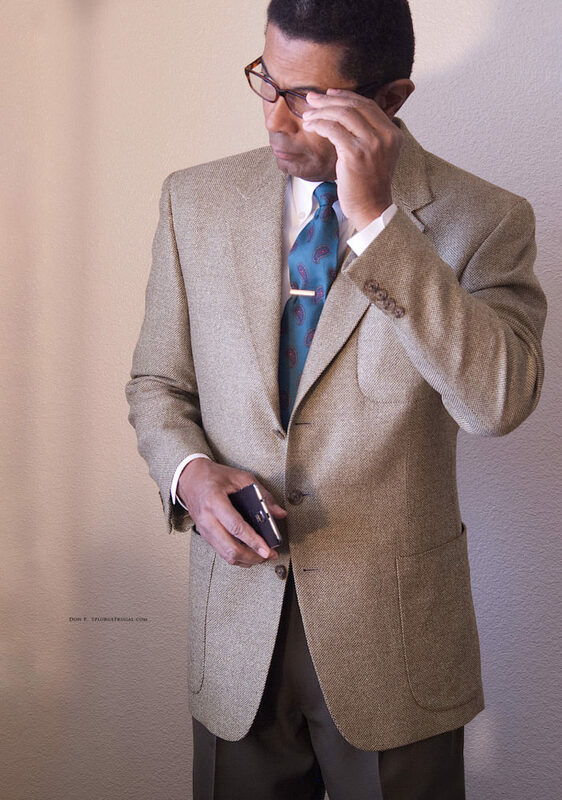 It becomes invisible once the pocket square is inserted into a pocket. 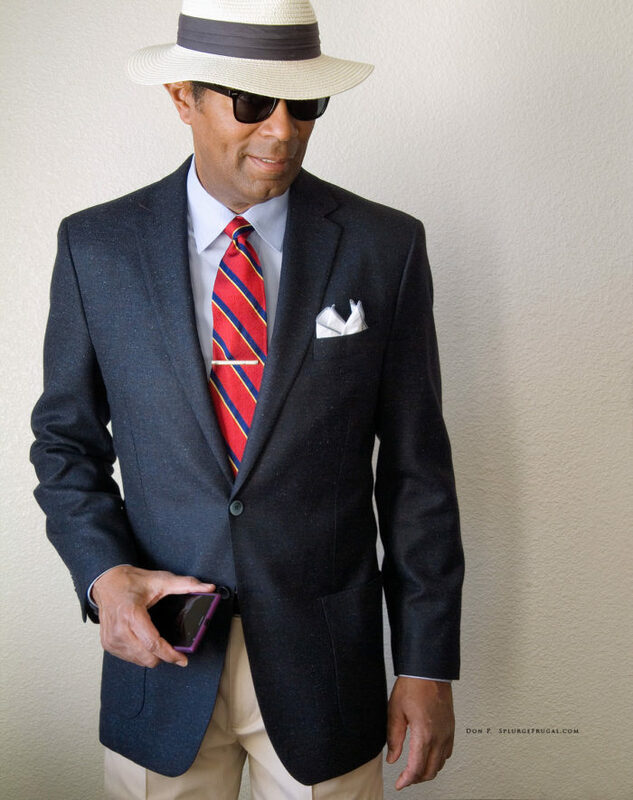 The pocket square cut from a suit jacket lining. 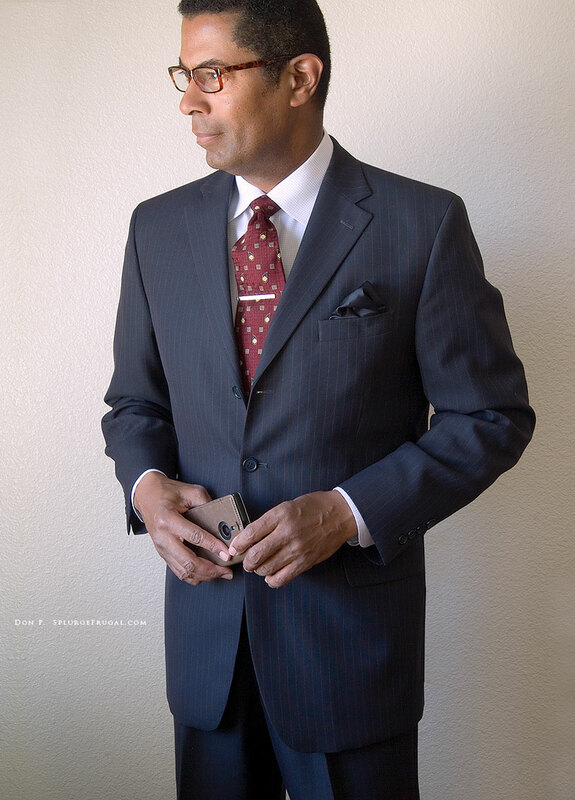 In this photo (above) I am wearing a pocket square I quickly made from an old light blue cotton broadcloth shirt. When my shirts become old and frayed, I usually use them as rags for shining shoes. However, I rescued a square of cloth with a pair of pinking scissors (to prevent fraying on the edges) that now serves as a crisp cotton pocket square. After a bit of spray starch and a hot iron, it was ready to wear! It’s a great way to recycle old worn shirts that would otherwise be discarded!